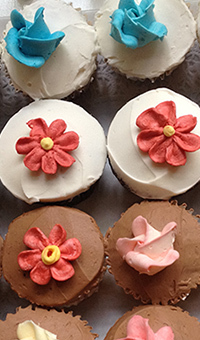 We offer a wide range of delicious cakes, desserts, breads, and pies to satisfy your taste buds. Let us make your special occasions memorable with a custom-made cake. 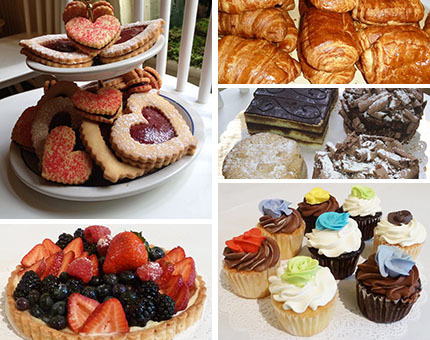 Cakes, pastries and desserts are all baked on premises. Pain d' Epices carrys an assortment of gluten free treats, and we are eagerly looking to expand our gluten free variety. Call or visit our location for all your custom orders. Please ensure all orders are placed at least 2 days in advance for us to adequately accommodate your needs. See how we have helped our customers celebrate their special moment with a beautiful custom cake. Pain D' Epices is available to cater any of your occasions with a wide range of menu items. We are able to meet your needs whether it’s for breakfast meetings, business lunches, receptions, or parties.